Ravichandran Ashwin has it in him to be India's top spinner on foreign tracks provided he becomes a little more flexible and curbs his aggressive instincts, feels former England off-spinner Graeme Swann. Ashwin is currently warming the bench after failing to find a place in the India's playing XI for the ongoing second Test against England. "I think he should have been playing here (at Lord's). He hasn't bowled enough overseas to be judged yet. 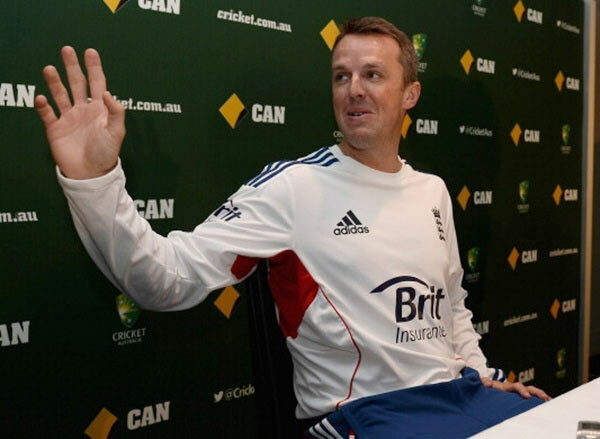 When you're used to bowling in India it is not easy to adjust quickly to bowling overseas," Swann told bcci.tv. "I'm sure Ashwin can bowl really well outside India because his record in India is fantastic. And if he can do it there he can do it anywhere," he said. Ashwin, who has 104 wickets from 19 Tests, last turned up for India in a five-day game in December 2013. Asked if his problem lay mainly in curbing his naturally aggressive approach even when asked to play the role of a container, Swann said, "I think you have to be flexible throughout the game. During certain parts of the match you have to be defensive in England. On the fourth and fifth day, you are just thrown the ball and you go on an all-attack mode." "On the initial couple of days, I wouldn't be attacking much. I'd still be trying to take wickets but in a very different way. I'd want a short leg, a deep midwicket and a catching midwicket because you know the batsman will try to hit you straight or flick you and you could get catches there. "On days four and five, I'd want three men around the bat -- a slip and two catchers -- and I'd want a short midwicket. So, at different times, you have to have different strategies," Swann added. Swann said at times, Ashwin has also been affected by his tendency to analyse too much. "It can be a hindrance and a help. When you're bowling well, your variations tend to come off. When I was bowling badly -- when my rhythm was bad, my fingers didn't feel right and I knew I couldn't spin the ball -- I always kept a plan B to fall back on. "I'd just look to hit the top of off-stump and get a lot of top-spin, so the ball dips and the batsman won't be happy driving. This method could help him," he explained. Talking about his own career, the 35-year-old, who finished with 255 wickets from 60 Tests besides 104 wickets in 79 ODIs, said he enjoyed bowling in India. "India have some of the best players of spin in the world but they also tend to be the aggressive ones. The likes of (Virender) Sehwag, (Sachin) Tendulkar, they look to knock you off your mark and play their shots," he recalled. "I loved having a battle with Sehwag. He was such an aggressive player that I knew if I could get the ball exactly where I wanted, I could spin him out of the game. That happened only about three times but I enjoyed the battle. "You enjoy it because you know he's playing the same game. He knows that that ball could get him out but he doesn't give it up. 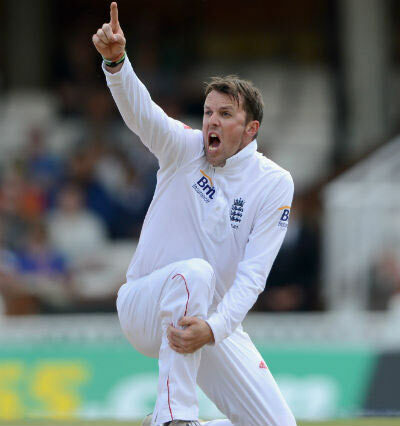 I don't give up bowling it even though I know I could be hit for a few fours," he added. PHOTOS: Top 10 infamous tiffs on the cricket field!